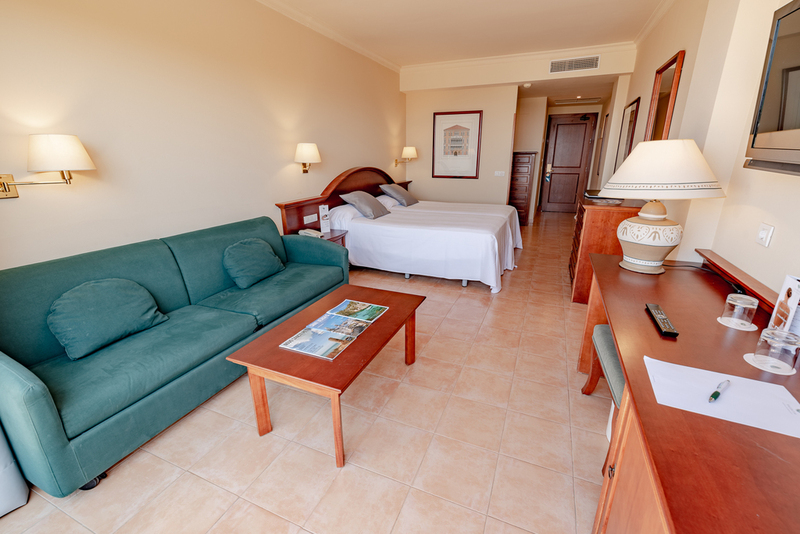 From 70€ per night - 0 rooms of 8 types. Single room with a fantastic furnished terrace, ideal for business or holiday travellers. The room is equipped with 1 double bed or 2 single twin beds, complete en-suite bathroom and all the necessary services to guarantee our guests’ comfort. This room type can accommodate a baby cot at no extra cost. Standard room with a fantastic furnished terrace, ideal for business or holiday travellers. 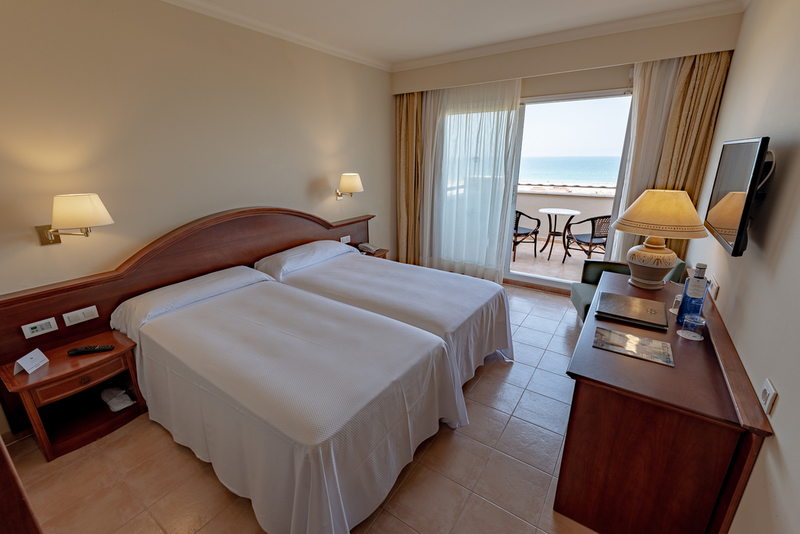 The room is equipped with 1 double bed or 2 single twin beds, complete en-suite bathroom and all the necessary services to guarantee our guests’ comfort. Bright room with an elegant interior design of classic inspiration with warm tones. It has a fantastic furnished terrace and it’s equipped with 2 single beds, an integrated living area with a sofa and coffee table and a complete en-suite bathroom, as well as all necessary services to enjoy a comfortable stay. Views of the pool or the gardens. Ideal for families, it comprises 2 large and spacious adjoining rooms decorated in warm colours, creating a cosy and pleasant atmosphere. 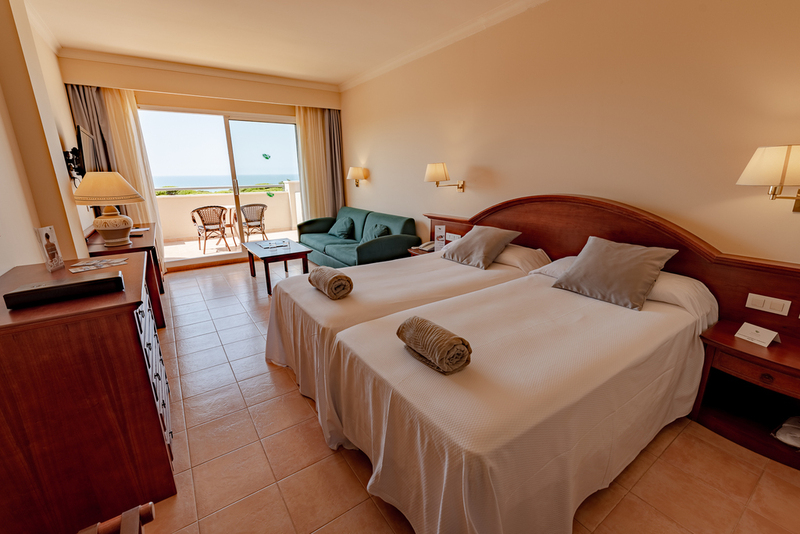 One of the rooms has a double bed and the other 2 single beds and the option of adding an extra bed in each room. Also, it has two furnished terraces and 2 complete en-suite bathrooms with all the necessary services to enjoy a comfortable stay. Standard room with a fantastic furnished terrace, ideal for business or holiday travellers. 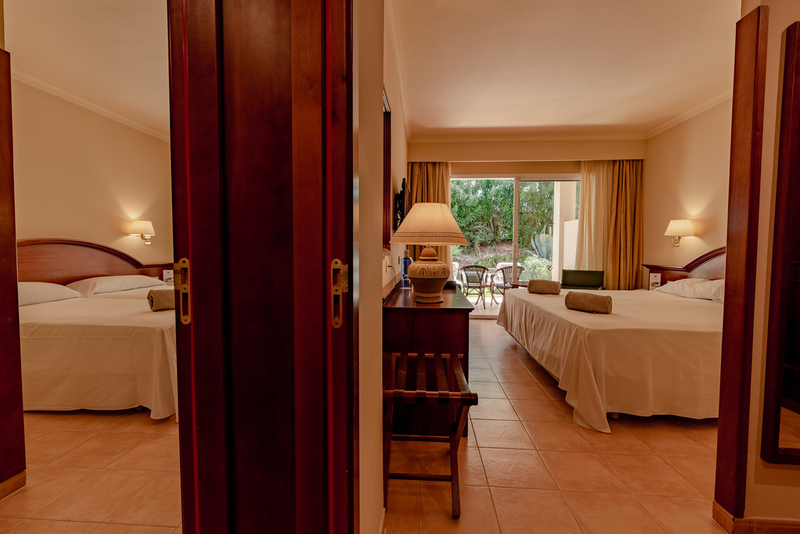 The room is equipped with 1 double bed or 2 single twin beds, complete en-suite bathroom and all the necessary services to guarantee our guests’ comfort. Side sea view! Bright room with an elegant interior design of classic inspiration with warm tones. It has a fantastic furnished terrace and it’s equipped with 2 single beds, an integrated living area with a sofa and coffee table and a complete en-suite bathroom, as well as all necessary services to enjoy a comfortable stay. Side sea view! 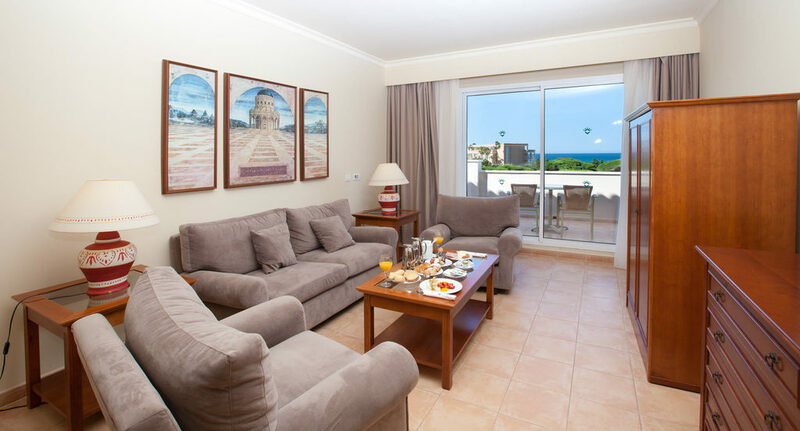 Ideal for families and travellers who need more space, it comprises 2 large and spacious adjoining rooms and a living room, decorated in warm colours, creating a cosy and pleasant atmosphere. 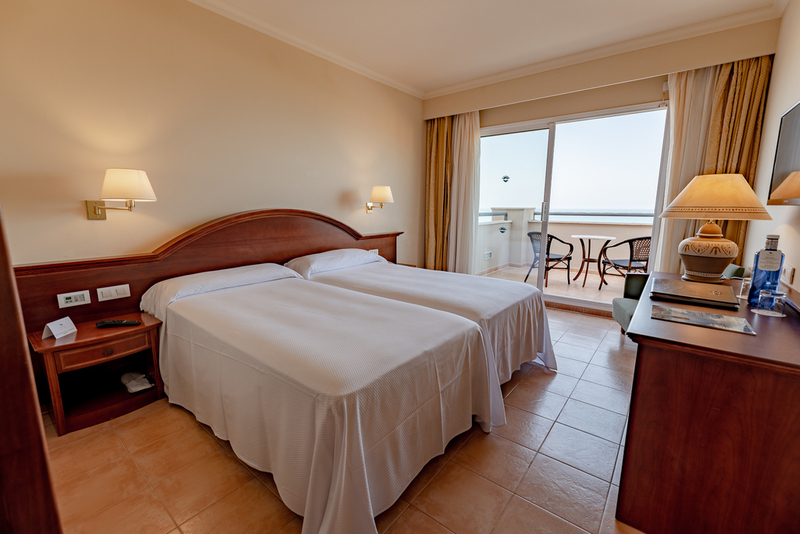 One of the rooms has a double bed and the other room 2 single beds and the option of adding an extra bed in each room. Also, it has two furnished terraces and 2 complete en-suite bathrooms (one with hydromassage bathtub) with all the necessary services to enjoy a comfortable stay. 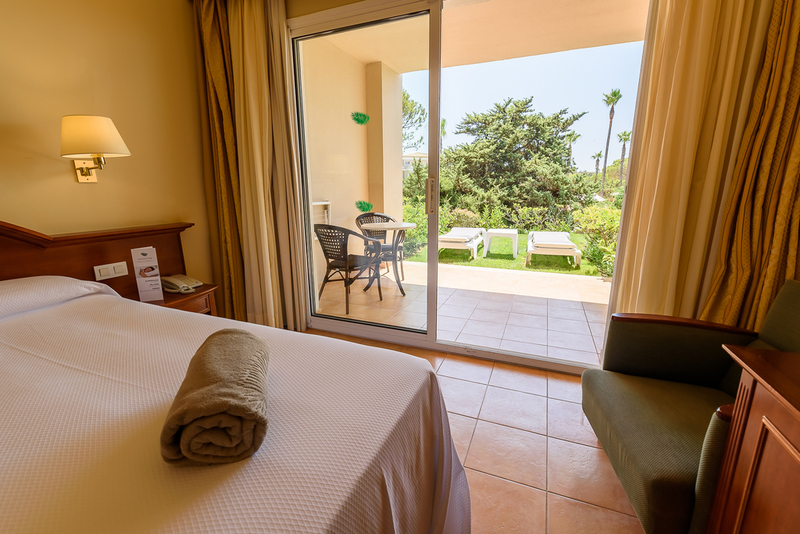 Standard room with a fantastic furnished terrace and also a small garden with 2 sunbeds and plants . Ideal for business or holiday travellers. 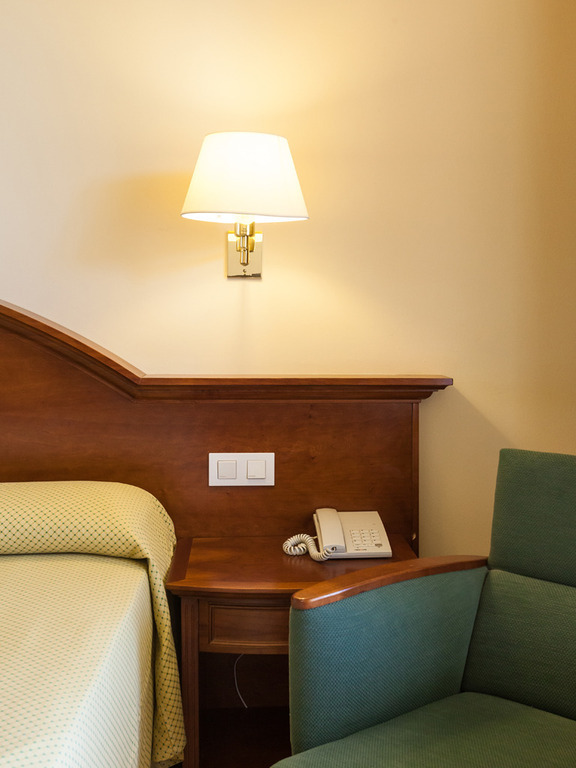 The room is equipped with 1 double bed or 2 single twin beds, complete en-suite bathroom and all the necessary services to guarantee our guests’ comfort.